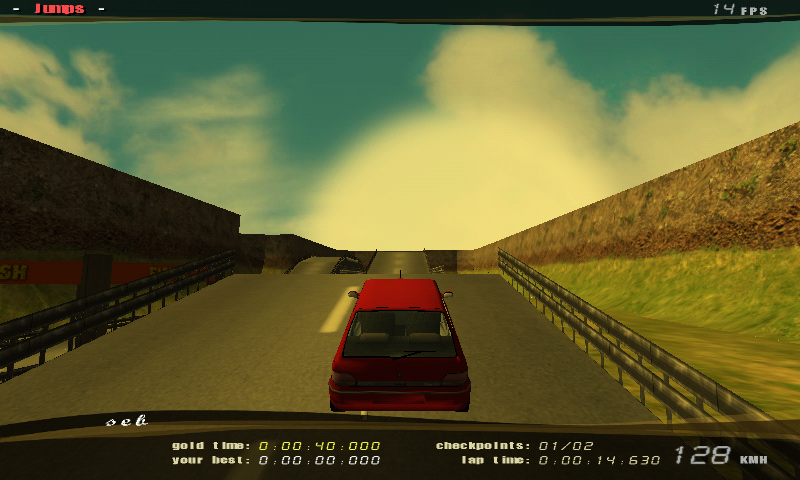 ManiaDrive is a free clone of Trackmania, the great game from NadÃ©o studio, and is an arcade car game on acrobatic tracks, with a quick and nervous gameplay (tracks almost never exceed one minute), and features a network mode, as the original. 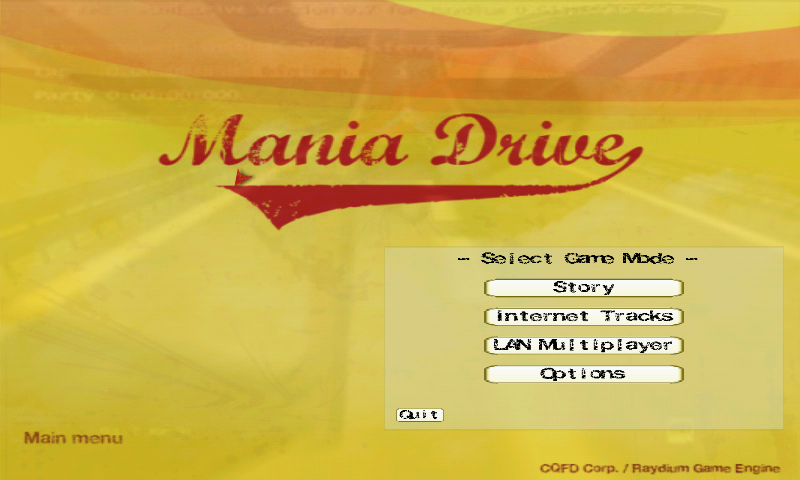 Here is ManiaDrive, the opensource Trackmania clone. Another one with gl4es :). Also, tracks from the Internet are playable (there are some slight pause in the music while the PHP scripts are running)? I haven't tested LAN Parties yet. 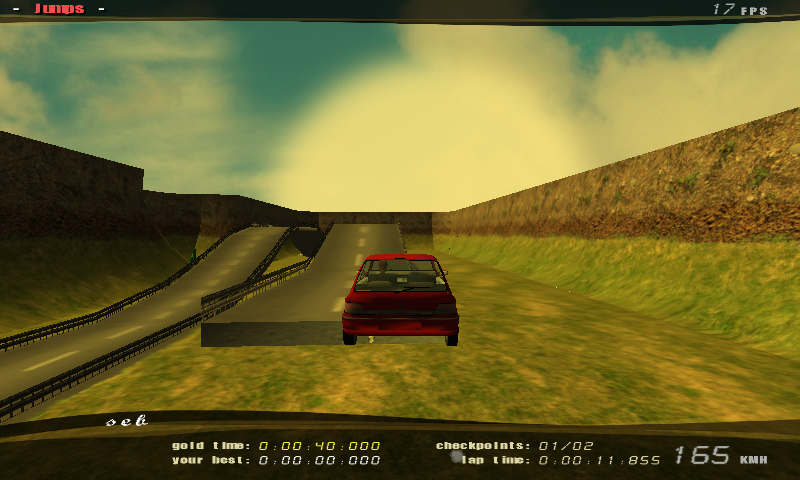 3-6 or C to change view. 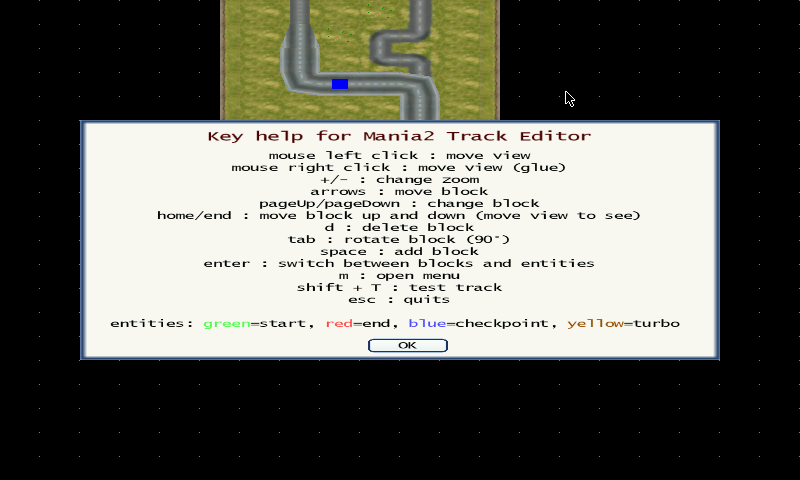 I have not configure Nubs has joystick (this game support joystick), I'm not sure it's a good thing for it. No problems. Would be nice if there were not only 'Gold' times. 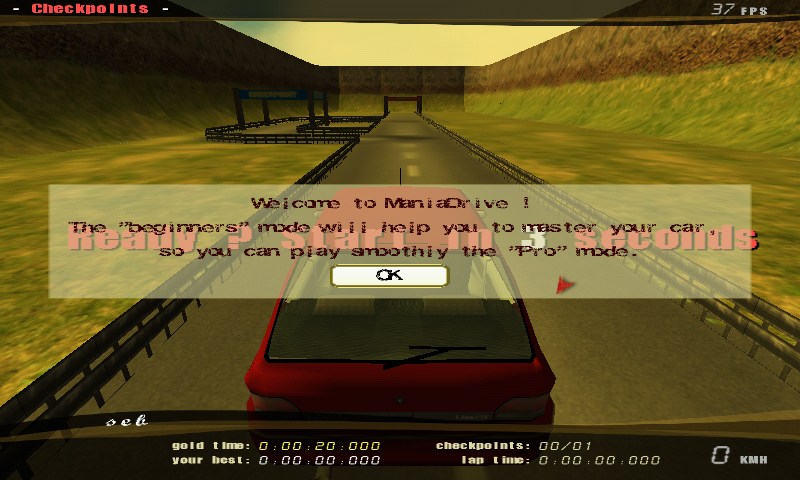 Nice game, fonts meant for desktop therefore a little hard to read. A little slow on my cc but nice just the same.